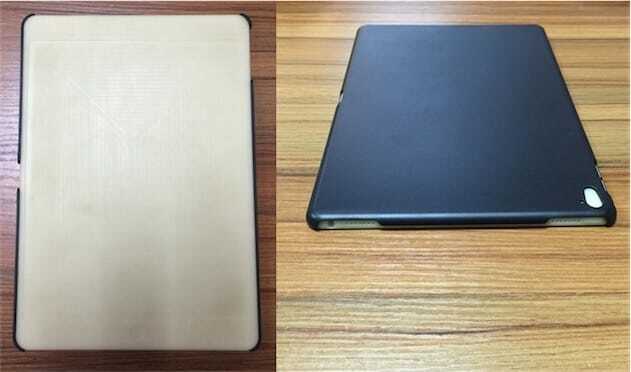 Less than two weeks before Apple’s rumored March 21 media event, where the company is expected to announce a new 9.7-inch iPad, more aftermarket cases for the iPad Air 2 successor have appeared on Chinese commerce website Alibaba. 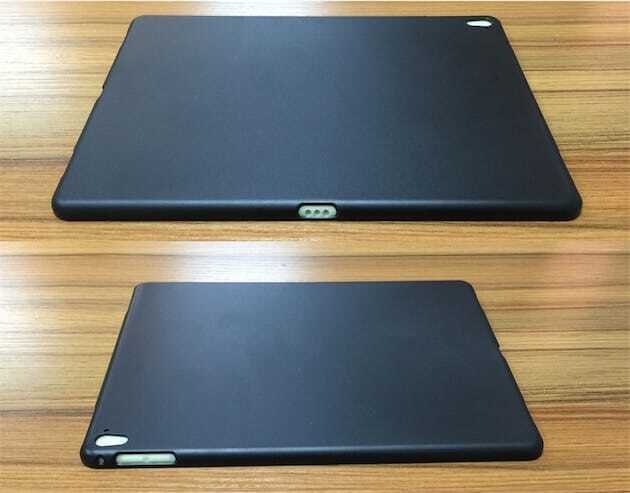 The case below, like others before it, has openings for a Smart Connector, four speakers, and a LED camera flash, lending credence to rumors claiming the tablet once tentatively referred to as “iPad Air 3” will instead be a miniaturized iPad Pro. A dummy insert provides a closer look at how the ports could be aligned on the new iPad, including a power button, 3.5mm headphone jack, and two speakers on the top; Lightning connector and two speakers on the bottom; volume buttons and a microphone on the right side; and a Smart Connector on the left side. Multiple reports have claimed the new 9.7-inch iPad will have a faster A9X processor, Smart Connector, four speakers, and a LED flash, while a sketchier rumor from DigiTimes said the tablet could have a 4K display and up to 4GB of RAM. The tablet is expected to have both Apple Pencil and Smart Keyboard support. Apple is expected to issue press invites soon for its March 21 event, where a new 4-inch “iPhone SE” and minor Apple Watch updates are also anticipated. There is also a slim possibility that refreshed Macs could be announced at the event, as the time is right for updates, but there have been no rumors confirming that is the case. This entry was posted in iRumors and tagged iPad Air, iRumorsnow, irumros. Bookmark the permalink.